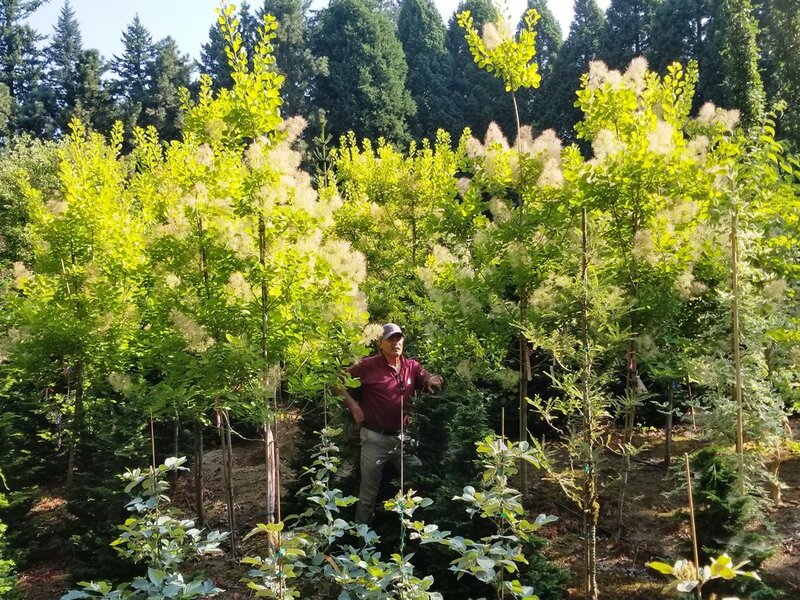 New Arrivals - Blog — Jaycee Newman, Inc.
Not often seen in tree form, these popular smoke bush cultivars will make a striking accent individually, or planted together for dramatic contrast. August 8, 2017 by Katie Conrad. 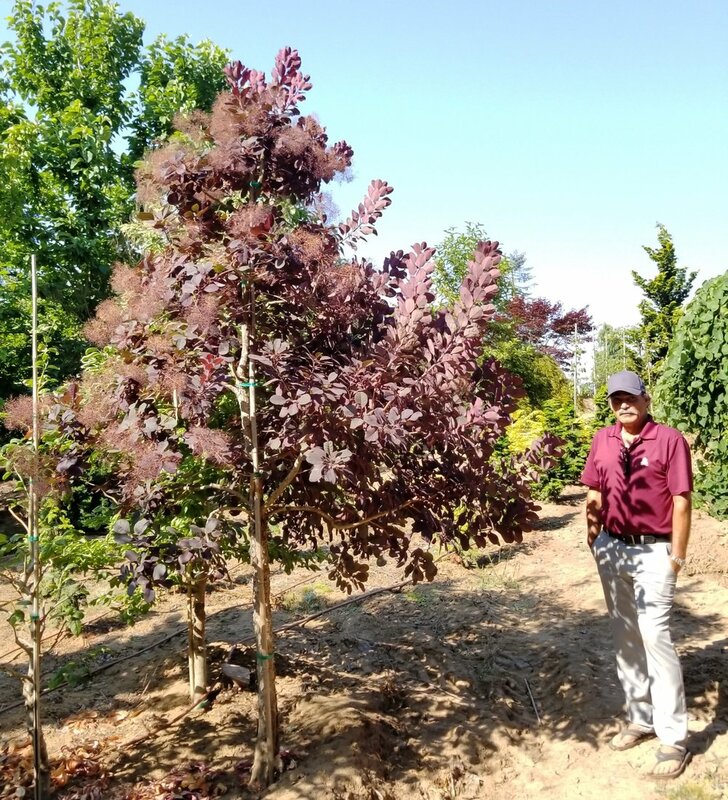 This hybrid cultivar develops cinnamon colored, finer peeling bark than straight griseum, and is said to have a faster growth rate. These large caliper specimens make a bold statement. Incredible red/orange fall color. Large Magnolia and yellow ones in particular are highly sought after. Limited availability. Reserve now for fall digging. ‘Beni Tsukasa’ is a small to medium sized tree. This specimen is mature. Leaf color evolves from pink/apricot in the spring, to mottled green/pink with hints of cream mottling. Orange/Red fall color. 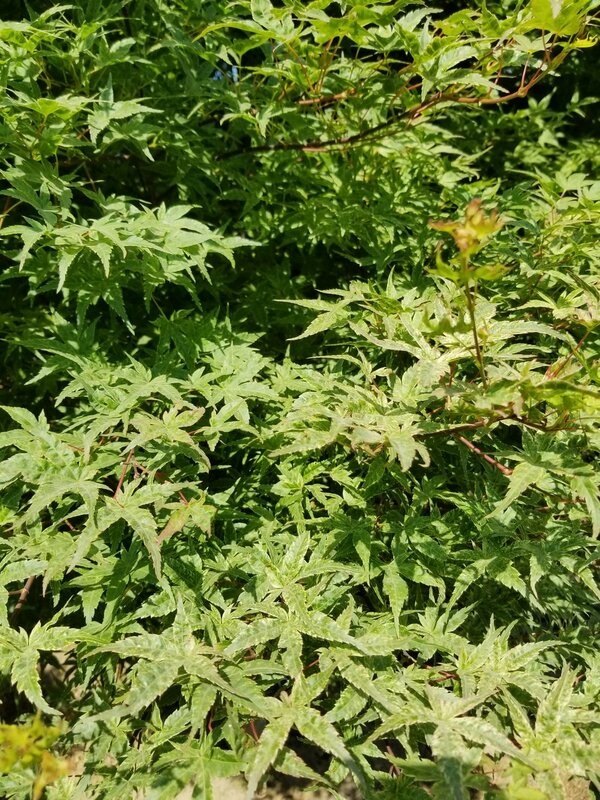 Our wide ranging selection of Japanese maple specimens are unlike any you’ll find elsewhere. Add a blue character to the landscape with these specimen weeping Colorado blue spruce. July 18, 2017 by Katie Conrad. Single trunk are often included in design but are difficult to source. We have a block of them ready to be included in your projects. 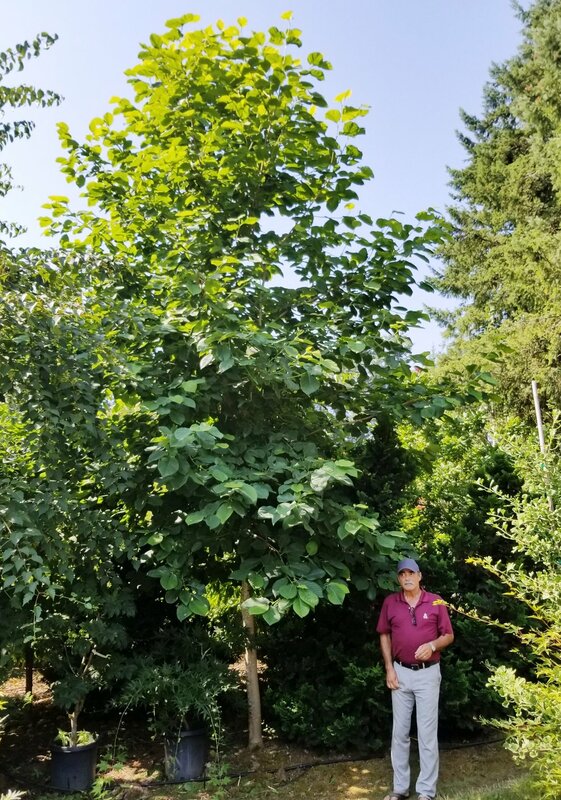 The long lasting flowers on these handsome and versatile trees are on full show and will look good into the fall. 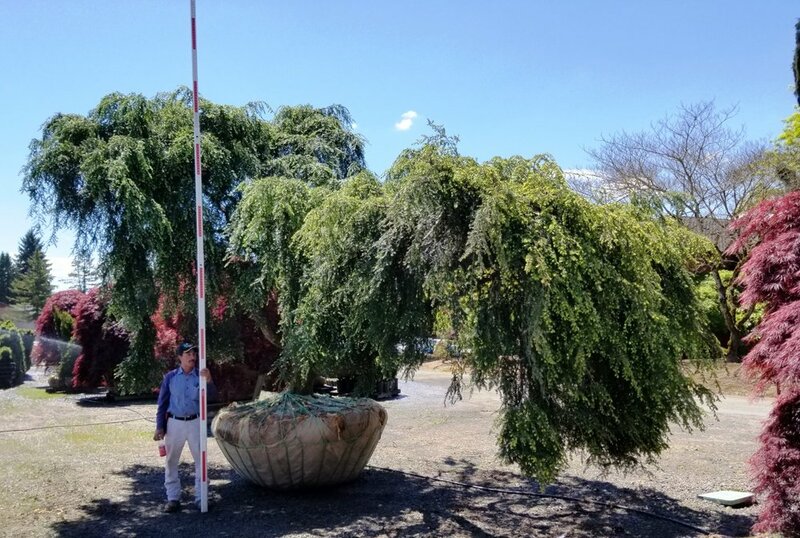 Use them as traditional formal trees or as highlights throughout the landscape. We have a strong supply of this highly sought after maple available in a range of sizes and forms. Bright golden yellow leaves hold their color best in partial shade. Bright red samaras contrast nicely with the leaf color. Spectacular orange/red fall color. Contact us for current availability. June 15, 2017 by Debbie Newman.